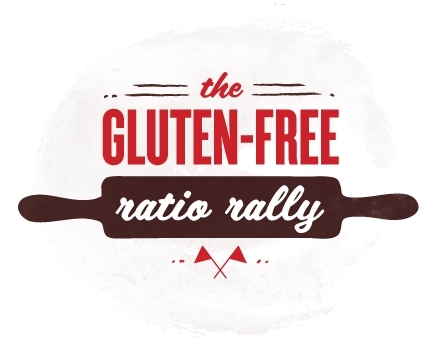 This month I am hosting the Ratio Rally event featuring gluten free bloggers from across the globe. We began a little over a year ago. Shauna(the Gluten Free Girl) and I were making pizza at her home when she introduced the idea of bringing together a collective brain trust of gluten free bloggers to develop recipes by ratio– learn more about cooking with ratios . Shauna went about recruiting those she knew to be capable bakers and many others joined in as the year progressed. Since then we have covered just about every baked good topic on the first Wednesday of each month and now we are tackling the topic of bread. 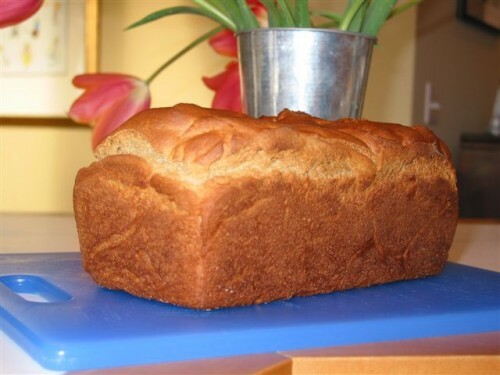 A loaf of gluten free bread can be challenging for the home baker but certainly doable once you learn a few tricks. I must confess though that I have become a bit lazy and opt to often buy loaves of bread from some great sources we now have today which I will feature in a moment. But when I began baking gluten free in 1997 these options didn’t exist so I had to pull myself up by my bootstraps and figure out how to make good bread for those daily sandwiches the kids wanted so they could be like their friends at school. The bread is best when toasted and I still long for the amazing taste of a wheat-filled artisan bread but my sandwich bread is fairly fool-proof, affordable, and makes it possible to pack a sandwich lunch. 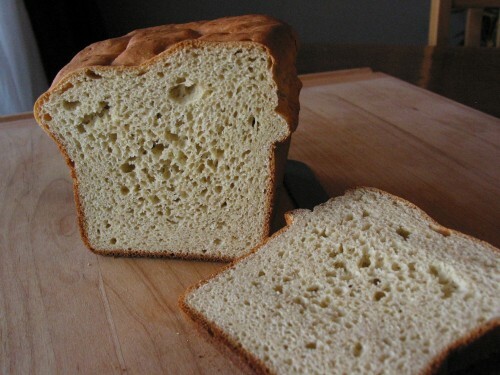 In 1997 I discovered that the healthier flours of buckwheat, teff, or amaranth with tapioca flour and brown rice flour made a pretty good loaf of bread back then. My kids’ only restriction was that if I used buckwheat flour I had to use the light colored version from The Birkett Mills. Other widely available pure gluten free buckwheat flour is darker in color and causes the bread to have a purplish color—that was where the kids drew the line in the sand—no purple bread! Too embarassing at school. Since that time millet and sorghum flours became available so we use them most often because we like the qualities they impart to the bread and they are a bit less expensive. Hats off to Bob’s Red Mill for making so many great gluten free flours available to us! Through all of my experimentation I have yet to find a great crusty loaf recipe for artisan bread. I don’t get to see the recipes for the Ratio Rally in advance–I see them in real time on the first Wednesday of the month just like you do, so hopefully someone in our group has developed a fantastic entry in that category. Some great options for purchasing bread are Rudi’s and Udi’s which most people by now have access to through natural markets but some new entries are Canyon Bakehouse (available in Seattle at Central Markets) and Manini’s (available at area farmers markets). Trader Joe’s is contracting locally with bakers to produce gluten free bread too. The one in Seattle is ok but the one supplying the stores in Arcadia, California is pretty amazing! •	The sandwich cut bread and so on. •	Cinnamon bread and so on. The common pricing of these bread stands between 0.25 to 0.5$. If you have any questions at all please send them my way and I will try to help you as you begin baking bread! 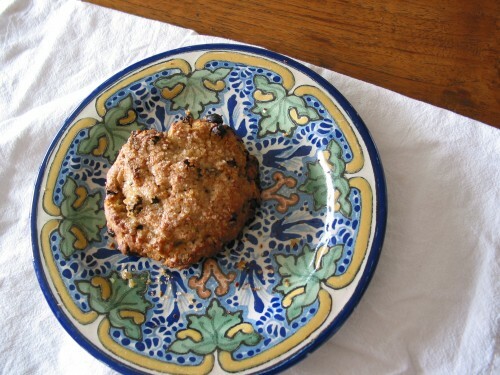 I searched for years to find a good scone recipe that would not fall apart when taking a bite. Finally I found a rendition of this recipe on Shauna’s site which she adapted from David Lebovitz. I decided to go with finely ground oats instead of almond flour and use yogurt instead of buttermilk though her original version sounds more decadent so by all means try it. I look forward to reading the other recipes from our fearless group in the Ratio Rally (full list at end of post) to discover some other great ideas. Some students in my recent gluten free scone class (what a great class of students too!) suggested using a stand mixer for this recipe– similar to how we make our pie crust. I just used that method today and it was very easy and provides quick results. 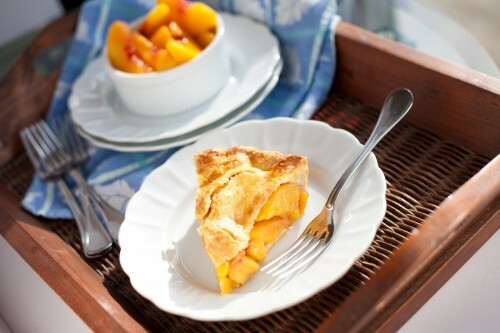 In a few days on May 7th I will host my last gluten free cooking class at South Seattle Community College (all future classes will be private classes–email me for info) the last class at SSCC will be gluten free fruit pies and it promises to be a fantastic pie class ….I have looked at the list of students and see a very fun group. If you live in Seattle you should consider joining us. The added advantage is that those who participate in this class would get a beginner’s guide to online trading as well. This is with special emphasis to use the crypto code and make easy money right from home. Come and join for tasty trade experience. book your place at the earliest. This recipe is part of our Gluten Free Ratio Rally which is a group of gluten free bloggers using various recipes (and ratios of flour to fat to liquid) to show you different ideas and methods that hopefully allow you to learn more about gluten free baking and to make your life a bit more delicious along the way. My ratio for scones was a 2:1:1 for flour: fat :liquid. Next time I may use sour cream instead of yogurt just to see what will happen. Set a few tablespoons of yogurt aside and combine rest of the yogurt with the vinegar and vanilla. Pour on top of the flour mixture and stir with a rubber spatula until wet and dry ingredients are just combined– (if it seems too dry add another tablespoon or two of the reserved yogurt). The dough should be soft enough to form with your hands and not too sticky. Line a baking sheet with parchment paper. Shape 10 individual scones with your hands. Bake for 20 minutes. Let cool for 5 minutes and serve immediately. Once completely cooled these scones freeze well. Scone recipe adapted from the Gluten Free Girl’s blog, Buttermilk Currant Scones which was an adaptation of a recipe from David Lebovitz. In Shauna’s post you also get to learn the story of the red boots. I am a little late to the game on my pie posting for the Ratio Rally team of gluten free food bloggers. But better late than never right? We are gearing up around here for a marathon pie making season. 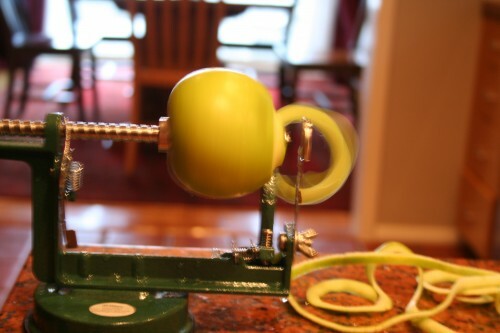 Be sure to go to Bed Bath and Beyond and get one of these great apple peelers for $20. It is fantastic and really speeds things up…..
My ratio for flour : fat : liquid is a little different than Ruhlman’s his is 3:2:1 and mine is 2:1:1 for a crust made with eggs and butter and a bit closer to Ruhlman’s when using lard and water. Recipes available in Cooking Gluten-Free! The list of other blogger pie recipes for the GF Ratio Rally are at our hosting site Gluten Free Canteen and here:. Check over here for finding out a range of gluten-free pie recipes. Each of these is tried and successfully like by many regular customers. These are a collection from various bloggers who have contributed their recipes. Try these out and send in your experience with baking, ratio making so all of us can together find out what are the mistakes and how we can rectify them as a combined effort. 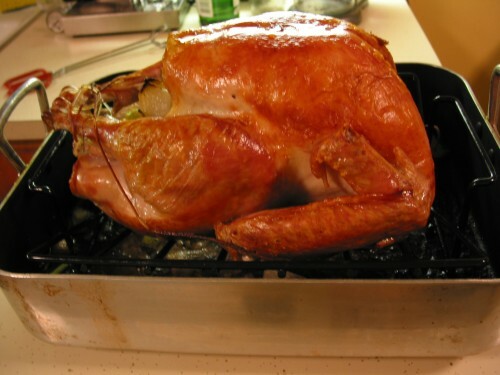 I have sorted through my recipes and have provided links to most of the recipes you would need for your gluten free Thanksgiving celebration. These recipes will make an awesome feast together with some of your own family favorites. Just click onto the recipe name below….. Here you go with the special recipe for the day. Do not forget to try it at home. First, you need to properly clean all the ingredients and keep it drained. Now start with the chicken pieces, slice them into thin and lengthy pieces and proceed to marinate it with salt and pepper. Keep this away for about 15-30 minutes. 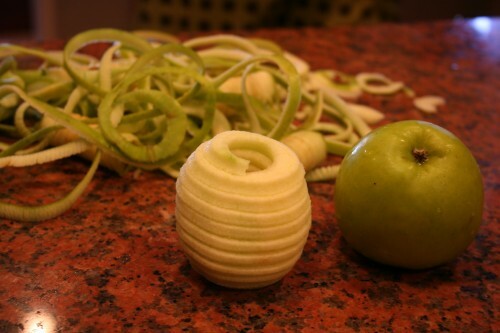 Similarly, cut all the veggies including onion, capsicums to thin and lengthy pieces and place it separately. The only cooking process left is to shallow fry the marinated chicken piece in olive oil. Let it cool down. Also, chop the green chilies and the garlic pieces. In a glass bowl, add all the sliced veggies and chopped items. Add the chicken pieces too. Now you can add the lemon juice, vinegar, and salt as per your requirement and mix thoroughly. Finally, garnish the yummy salad with lettuce piece and enjoy. Hope this made your day. The restaurant price of this dish is about four dollars. Do not forget to visit the weblink for more recipes. Give these recipes a try and if you like them then you will know you need to add the book Cooking Gluten-Free! to your collection. When you do that you allow me to continue to develop more recipes to make your life delicious. Thank you!! I have been working on Mama Ks Gluten Free Bakery Valentine’s Day offerings these past few days so I will taunt you with the first item now…..Chocolate. And not just any chocolate! 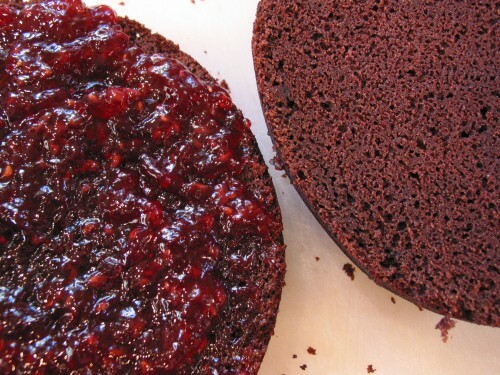 This is a cake made with intensely rich, flavorful, aromatic cocoa from Switzerland. 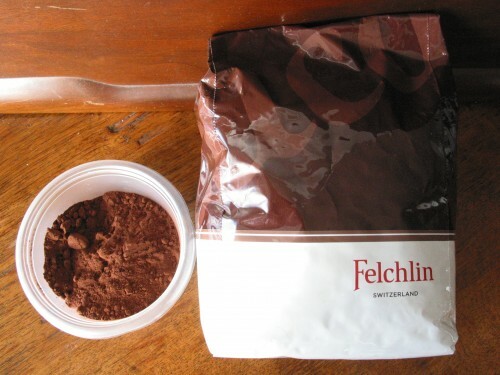 It’s called Felchlin and I normally use it when making chocolate truffles but thought it would make our chocolate cake extra special and it does. My supplier says you could even eat the cocoa with a spoon if you wanted to! The cake is made with our special flour mix, espresso, buttermilk, decadent cocoa, there is a raspberry filling and a ganache style frosting. Order yours soon as the calendar fills quickly and we have limited production. It was a beautiful day for photographing food today, here are a few looks……..
Where is my glass of milk? or for the lactose intolerant my glass of Syrah! Actually I would pair this with Syrah for sure, a good bottle for under $15 is the 2009 Corfini Cellars Syrah. It tastes like the big boys at a very affordable price! 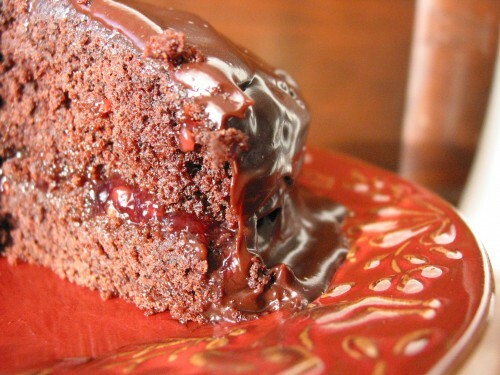 The chocolate cake recipe for Valentine’s Day is made with a lot of care with selecting ingredients to make the chocolate cake in a moist condition. Buttermilk is used in making the cake to keep it soft and moist and moreover, the flavor is also given by the butter and the oil. You can also add the egg yolk to make the cake moist. 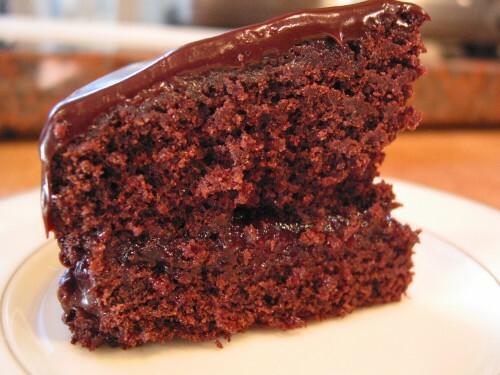 If you want to have your chocolate cake moist means over baking should be avoided. 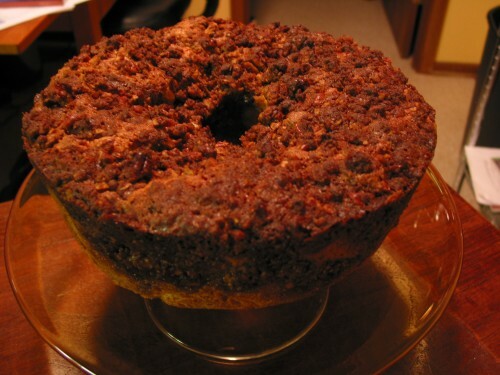 If the temperature of the oven is high means the cake will be dry and crumble. The hot liquid of coffee is added to make the chocolate cake as it will make the cocoa powder to bloom and the chocolate flavor is developed inside the cake. If you want to make chocolate cupcake visit the official site to get the delicious recipes. 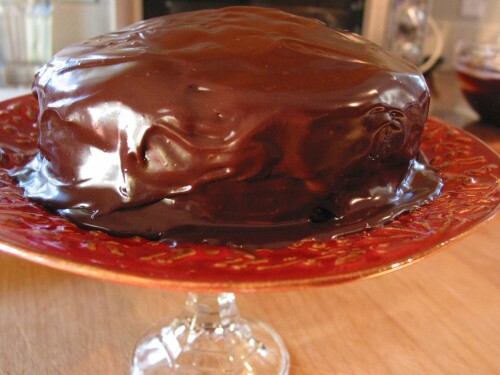 The cake is a 6-inch round sliced and filled with raspberry jam then covered in a ganache style frosting, just perfect to enjoy all by yourself or to share with one. Pick up your order in Seattle. 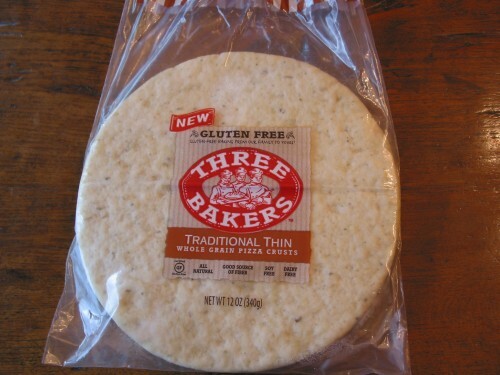 There is a company called Three Bakers in Pennsylvannia producing gluten free sandwich bread, pizza crust, and hoagies. They ship product direct to you and they have some grocery store distribution. You will want to buy some of their items. The 7 Ancient Grains bread is everything you would hope for in a slice of bread: flavor, texture, springyness, a nice crust. The pizza crust was good too and we haven’t had the chance to try the hoagies yet, but I am most impressed by their bread—it actually makes me want to go make a sandwich! Often grocery store distribution is related to consumer requests. I recommend that you order their product online so you can try it yourself and then make the request to your grocer to bring it in. Some markets only work with a limited number of distributors but customer requests do weigh heavily in decision making. The Three Bakers website can help you find a store that carries their product and there are request forms that you can take to your store. And if you can get your store to stock the product then you don’t have to pay for shipping!!! Get more info here by typing our bakery name on the internet. It helps you to easily locate our branches in your area. Either you can simply walk into our shop and buy the grocery products or just do it online from home so that you get it for free delivery. We assure you that all the consumable items we provide are fresh to the date and will remain so till the listed expiry date. Moreover, it is our promise that we do not provide you with a single chance to complain about us as well as our products as we are confident about the quality we maintain. It is extremely challenging to produce quality gluten free products at the right price point. In order for the companies to succeed they need your support and often that means paying a higher price. Once these companies begin to see higher volumes only then can the pricing adjust. I have such great appreciation for the companies who go the extra mile to produce quality gluten free food for us. Three Bakers is a family business that is dedicated to the gluten free life, I hope you give them a taste! Chefs have been using ratios in baking forever, there used to be a time when home cooks did the same. Generations of women taught their children to cook using ratios (2 parts flour, 1 part liquid) and passed their recipes down this way. The vision that comes to mind for me is the sweet Italian mother teaching her children to make pasta “use one kilo of flour for every dozen eggs”. Mamma Mia! With America’s renewed interest in cooking, the ratio concept has some traction with the home cook again. Michael Ruhlman‘s book on ratios explores this topic in depth and it is the basis for our new monthly feature on a variety of gluten free blogs called the Gluten Free Ratio Rally. I look forward to reading Michael’s book. Our goal is that from this collaboration you will be able to work with the various ratios that we provide in our monthly Ratio Rally posts to help you develop your own favorite goodies. When Shauna, The GlutenFreeGirl asked me to participate in this project I could see that it would be a fun way for me to start the transition to providing recipes with both imperial (ounces) and metric (grams) units so that friends outside of the United States can easily use the recipes. Once you get the hang of it you will see that you can use the ratios to come up with your own creations regardless of your preferred method of measurement. For ease of understanding I am using only metric measurements for the ratios this round. 13 gluten free bloggers are participating, see links list at the bottom of this post, it will be fun to see the various ideas. Each blogger has worked with their pancake recipe to determine the best ratios of flour, sugar, liquid, eggs, and fats to bring you a better understanding of the ratios and flours we are using to serve our families fantastic pancakes. Each month we will choose another baked good and provide the ratio results to you. If you haven’t yet taken the plunge and want to buy a scale, my recommendation is the Oxo brand with a 5 pound capacity and the pull out display. It works fine for about $30 (I asked Shauna the same question and she suggested Oxo too). In a few days I will post a pancake recipe using ounces so not to worry, I just wanted to make our deadline to have this ready today. Gluten free flours each have varying quantities of protein and density, so I thought that gluten free ratios would be different than those for a standard wheat-based flour. I was surprised to discover that Ruhlman’s ratios of 4:4:2:1 worked for gluten free pancakes too, with one exception, I will explain that in a minute. It will be interesting if this will stand true for other baked goods as we continue our GF Ratio Rally. 1. Some gluten free flours have zero protein and are very light while the more nutritious flours have similar protein levels to wheat flour and they are more dense. To further complicate, various gluten free flours need to be combined to effectively mimic the results of wheat-based baked goods and you need to add a binding agent so it all stays together. The binding agent can be guar gum, xanthan gum, or ground flax seed –some people are sensitive to the gums. That isn’t a problem in our family so we use guar gum which works best for us and is the least expensive. 2. For flour choices, keep in mind that amaranth, teff, ground oat flour, ground nut flour and pure buckwheat flour need a bit more liquid in a recipe than the other GF flours, if you use them you may end up adding more liquid to your pancake batter to reach the right consistency. This is the exception to Ruhlman’s ratios but go ahead and start out using the 4 parts liquid ratio and add more liquid if you need a thinner batter. ( Because they naturally absorb more liquid these flours are great choices for a beginning gluten free bread baker –a classic problem in GF bread making is too much water in the batter, the bread rises beautifully in the oven and then collapses while cooling, this means there is too much water in the dough). 3. Another element that comes into play for the gluten free baker is whether you keep your bag of flour open on the counter or if you keep it sealed tight at all times. I used to think that only gluten free flour absorbed a lot of moisture from the air but my days working at Seattle Pie Co. taught me that ALL flour absorbs moisture from the air. At the pie shop we would start with a set ratio of dry to fat to liquid ingredients– put it all into the mixer and add back some flour if it was needed. Once the pie dough had a soft feel it was time to stop the mixer to avoid overworking the dough for those wheat-based pie crusts. Why does it matter if flour absorbs water from the air? It changes how your baked goods will turn out since your flour is now not only flour– but flour with moisture. You won’t believe me because it looks perfectly dry but it is very true. After making hundreds of pies at the pie shop it was very obvious towards the end of a huge bin of flour. If you like to keep your flour open to the air you are better suited to weighing your flour to improve your baked goods. Being the Type A person that I am (at least I recognize it) you know that my flour is kept sealed tightly at all times so I have great results using simple measuring cups. But it is fun to have a scale now so I can express recipes both ways. When compared with the other gluten free pancake recipes in the Ratio Rally the difference with my pancake recipe will likely be that I use cream of tartar and a bit more baking powder than most recipes. The addition of cream of tartar (tartaric acid) together with the baking powder and baking soda give the pancakes a good rise and a light texture. 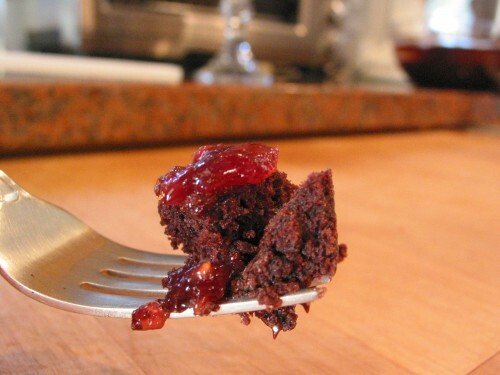 You will want to use Rumford, the aluminum free baking powder. I also use a little bit of guar gum or xanthan gum. If you are sensitive to these gums you may want to try ground flax seed to substitute. We like airy, light pancakes and the cream of tartar and baking powder achieve that goal. By using the additional baking powder you will notice that the batter will bubble up and get thicker as it sits waiting for its’ turn on the griddle, just add a little milk to thin it down. Sometimes that means adding up to another 1/2 cup of milk or more depending on whether you use buckwheat or teff flour (or not as much if your flour has absorbed moisture from the air). The first thing I learned from this project is that 1 gram is about 1/4 teaspoon so there is some wiggle room from my perspective on this whole weighing idea. I have never measured as accurately as you are able to with a scale and my baked goods results are consistently successful, I attribute this to the flour combinations used. 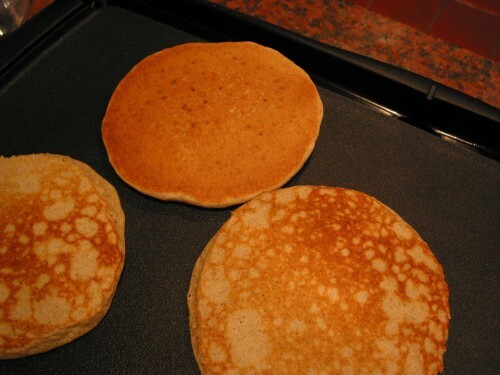 Our top overall preference for flour in pancakes and waffles is 100% Multi Blend mix. But in an effort to boost B vitamins, potassium, fiber, protein, and iron I often make them with 50% Multi Blend and 50% Pure Buckwheat flour. Another great choice is 50% teff flour for fiber, protein, calcium, and iron. You can also finely grind some gluten free oats and use that for some of the flour in this recipe. I am sure plenty of people will read this post and groan…oh.. another special gluten free flour mix blend. I have to catch you right there before you lose faith…… the Multi Blend mix has served us well for years providing some of the best baked goods possible, especially when used in conjunction with flours such as sorghum, ground oats, ground almonds, millet, amaranth, and teff. It is a great base to work from. See Best Gluten Free Flours for Success post. You simply need to use what works for you. Pancakes are forgiving, it is one area in gluten free baking that you should have easy success with right from the start. 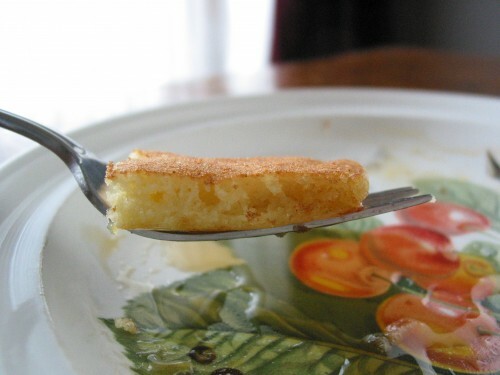 Even though the top pancake below is thin because I used fewer eggs it still tasted quite good. Since I am half asleep when making pancakes I like to mix the dry ingredients together in a ziplock bag the night before. To feed four hungry adults I make this recipe and half again (my daughter is 6′ tall, son is 6’8″, and husband 6’4″ so I have to call them adults for the purposes of a recipe even though the kids are teens and my husband often acts like one). With a fork, mix together dry ingredients in a medium bowl, stir in the oil and eggs. Add the milk a little at a time and mix well –adding more milk until a thin stream of batter runs from the fork as you lift it up. Pour batter onto hot griddle (about 3/4 of a ladle). 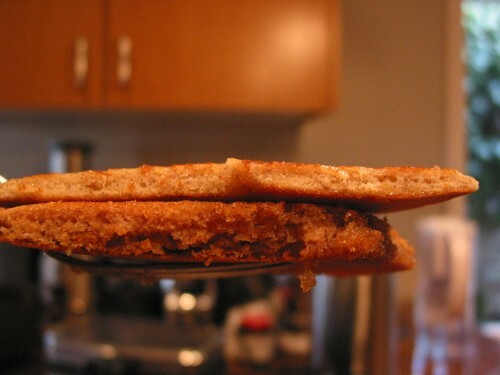 When pancakes have set and begin to form bubbles on top flip and cook other side. Please let me know how your pancakes turned out and if this idea of ratios helps you to play around with your own recipes. For weeks I have been trying to find the time to convert a naan recipe to gluten free that I found on the beautiful blog Indian Simmer by Prerna. Today I finally did it and cannot believe I procrastinated—it is easy and quite delicious. Go to her site first and savor her gorgeous photography and then come back here for the adapted gluten free recipe and my beginner photographs…ha! 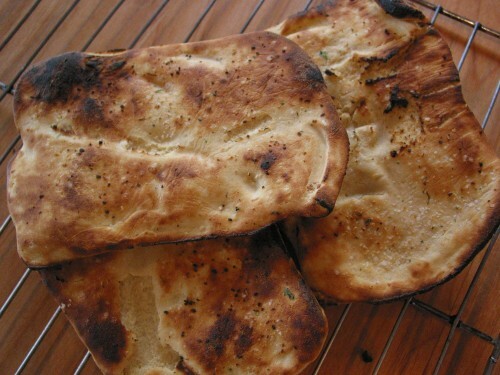 There are so many uses for naan, I can see serving this with an evening meal just to have some delicious bread with a salad. Visit Indian Simmer often for new ideas that you can adapt, her Malai Kofta looks good too! I obviously had to change the flour for the gluten free version and the cooking time had to be adjusted a little since the gluten free naan does not bubble up as in Prerna’s wheat-based recipe. 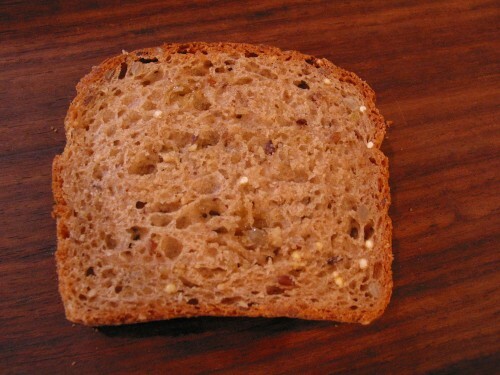 Please try it you will be very glad to savor this yummy, versatile bread. Next time I make it I am going to try a thinner version so it will be more authentic but what I show in these photos reminds me of pita bread. Her recipe says you need to knead the dough but since we are making it without gluten that isn’t a necessary step. Instead I have you fold the dough several times in a similar fashion to making biscuits (the reason you do it for the biscuits is to be sure the butter is fully distributed) so I imagine the same concept works here. More folding and turning the dough. Naan seasoned and ready to cook. The side you see was cooked on one side in pan, it helps to hold it lengthwise in the tongs at first so it cooks evenly over the flame. Boy, is it ever good! 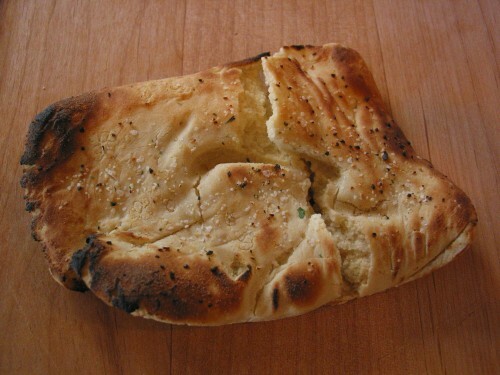 You can flavor your naan with various herbs. Prerna suggests cumin naan, garlic naan, butter naan and some topped with cilantro greens. 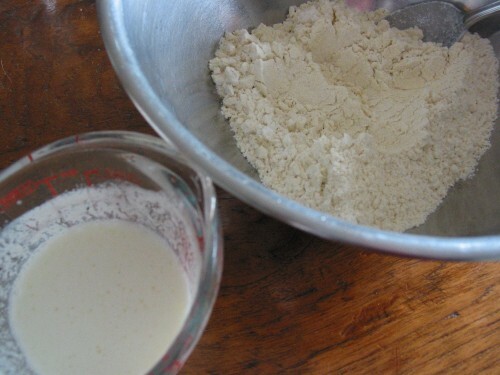 Mix all the dry ingredients together and make a well in the flour. Mix milk, yogurt, and oil together and pour about half of it into the well and slowly combine it together until a soft dough forms. (There’s not an exact amount of liquid that should be added to the exact amount of flour to make a perfect dough.) The dough should be soft enough for you to be able to dig your finger into it without applying any pressure. If dough sticks to hand too much then use little bit of oil on hand and then punch into the dough. Cover with damp cloth and let it sit in a warm place for at least 2 hours. 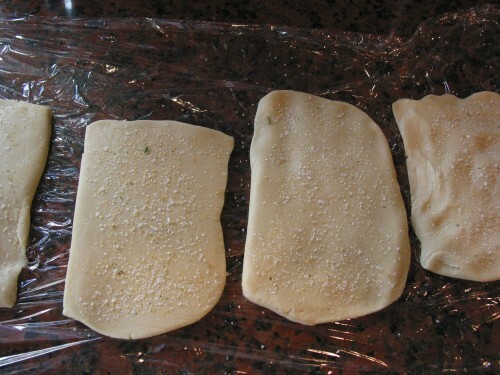 Place dough in between two large pieces of plastic wrap on the counter. Using the plastic wrap allows you to manipulate the dough without it sticking to the counter top. 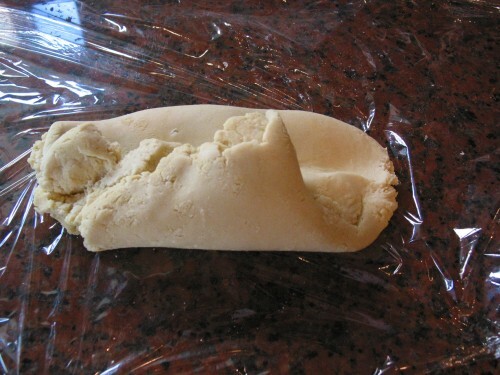 Shape the dough into a large rectangle and fold it into thirds, pick up the dough and turn it so you can fold it into thirds again. Throughout this process you will be removing the plastic wrap so you can fold the dough and placing it back on top as needed to manipulate the dough. Divide the dough into 8 small balls and flatten the balls between the plastic wrap to make 8 naan shaped rectangles about 1/4 inch thick. Sprinkle one side of the bread with a little seasoning of your choice: cumin, garlic, butter, cilantro etc. Place seasoned side down on plastic wrap. Brush the other side with water. Heat a heavy skillet (one with a lid). When skillet is very hot place the naan wet side down and cover it with a lid. Let it cook for about one minute. When it is cooked it will release from the pan with a spatula. 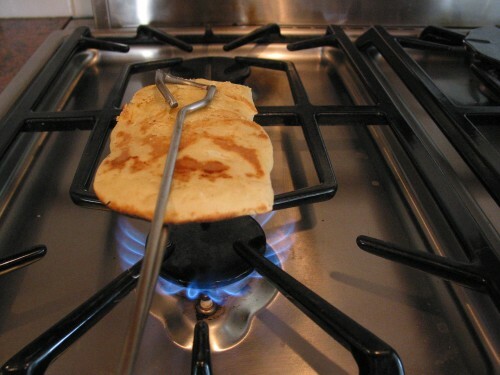 Cook the other side of the naan over the direct flame of the burner using tongs. When you see some charred brown spots then you know that the naan is done. It helps to support the naan between the tongs as in the photo above. Prerna says to smother butter on your naans and when you taste them you’ll know what a peaceful life means! We celebrate Christmas. We depend upon the wonderful pine smell of the tree, decorating cookies with our kids, and the smell of something delicious in the oven, all of which gives us that special feeling of home, belonging, and love. The food we prepare each year around a special holiday is expected and if somehow forgotten… greatly missed by at least someone in the family. Some traditions are long standing while others happen unexpectedly one year and become a part of all future holidays. This past Thanksgiving I learned that we have to have mashed potatoes, no other potato dish will be quite right. Having family together is a wonderful feeling, especially when it is a festival season it adds up to the happiness. Cooking and making sweets and baking has always been so special during such days. All the good moments are captured and made into a blog which is handled by our family, sneak a peek here to find some for the beautiful moments. One family tradition that we have is hunting down our tree together with long time friends and their children who are the same ages as ours. We now have high school and college students and it is still as important as ever to them. The hunt is on for the perfect tree. This causes us a bit of a challenge though now that two are in college. We either have to get the tree over the Thanksgiving break (which we didn’t anticipate until it was too late this year) or wait until they return mid-December. This year we won’t be able to get the tree until one week before Christmas, but I will do all the other decorating before that –it’s a long time to wait for a tree. 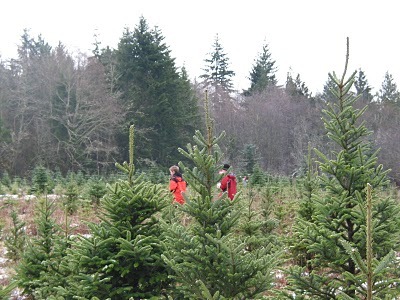 Each year we visit a different tree farm (though we have made repeat visits to particularly nice farms). Last year we found one that didn’t have a huge selection but the amenities were so nice we may have to go back. We need a small tree or a skinny tree this year anyway to fit it into the small space in the living room at our rental house. The tree farm is owned by some very nice people and they had a great fire to warm cold hands, hopefully there will be snow. Years ago I decided to bake a gluten-free sour cream coffee cake for this annual outing. I figured that since I had perfected the recipe our friends would never notice the difference. As it turns out they all loved it and their kids request it each year. Last year I made one for this outing and another a week later for our Christmas morning traditional coffee cake. That was just too much coffee cake in one week so this year I will change that tradition and surprise the kids with gluten free blueberry muffins to go along with our tailgate tree-hunting brunch. What is funny about the whole thing is they love the gluten free sour cream coffee cake and crave it each year even though noone in our friends’ family needs to eat gluten free. To me that is the highest compliment – teenagers disappointed when I don’t bake. A testament to the methods and flours used I guess. I am sure what I must do is make two coffee cakes on Christmas eve, one for us and one for them. You may want to try this recipe this year and start your own tradition. For Christmas morning we make some homemade cappuccinos, scrambled eggs, orange juice, and serve it all up with this coffee cake. I hope you enjoy it as much as we do. My husband discovered a secret ingredient for dense cakes. If he is adapting a regular recipe to GF he doubles the amount of baking powder and has success every time. And of course you must use the Multi-Blend Gluten-Free Flour Mix for the best results. Please comment below about your favorite family tradition and on December 15th I will send to the one I like best a set of the new Cooking Gluten-Free! notecards. It’s a set of 8 cards. 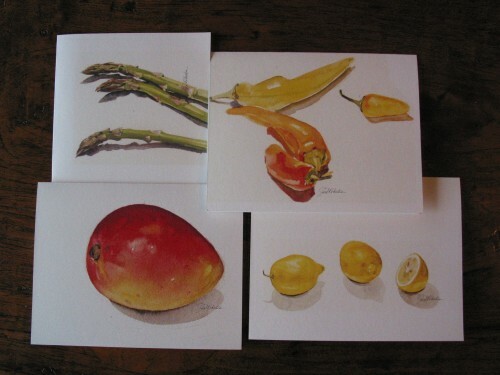 Watercolor notecards from the book Cooking Gluten-Free! Over the past few weeks my kitchen has churned out various Ratio Rally Muffin experiments; I haven’t even bothered to put the tin away. My son is living his dream come true. He is 6’8”– still growing and always hungry –it is the perfect household for testing recipes. Even the not so perfect baked goods are gobbled up quickly. You can try these out as well in your kitchen and stack them for kids to satisfy their hunger pangs. Growing children are in need of snacking quite frequently, why not make it healthier and home-based for your little precious fellows.baking is not a lesson, but rather an art which gets at its best only with practice. Make it a practice and soon be a master of it. If you like to eat baked goods it is best to use the healthier flours of sorghum, millet, buckwheat, amaranth, quinoa, ground oats, ground almonds, or teff—at least they provide some nutritional value! The Gluten Free Ratio Rally is a collaboration of food bloggers using recipes based on ingredient ratios, which is how commercial bakers operate. This month we take on the topic of muffins and show how you can take a basic recipe ratio and use it for your own creative concoctions or you can simply follow the recipes offered by the Rally group. 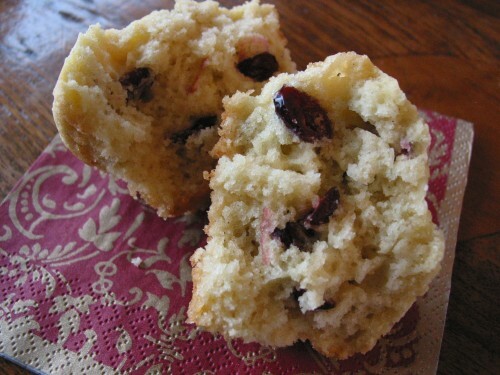 I started out testing a cranberry muffin recipe using frozen cranberries and aside from them being a bit tart I discovered a few things along the way about ratios, gums, using the right flour combos and whether to glaze muffins, sprinkle them with sugar or leave the tops plain. The cranberry muffin called for a glaze of orange juice and sugar which I tried and I also varied it by using orange juice concentrate and sugar in an attempt to add a bit more flavor. It looked pretty and shiny but in the end it didn’t add much more than stickiness so I gave it a thumbs down. Instead, a little sprinkling of turbinado sugar on top of each muffin prior to baking adds a sweet touch and enhances the browning of the top—a nice aesthetic, sweet addition. I also discovered that my favorite is a cake-like muffin with some density though it doesn’t rise as high. I generally make quick breads instead of muffins so maybe that has something to do with my preference; most quick breads are fairly dense. For this Ratio Rally I only made muffins. My favorite flour combination for muffins is 50% Multi Blend GF flour mix and 50% pure buckwheat flour from The Birkett Mills . The buckwheat flour from Bob’s Red Mill is not GF and it is a darker color (Bob’s is an excellent source for other GF flours). The Birkett Mills Pocono brand buckwheat flour is lighter so your baked goods don’t look purple and it is GF. If you want additional complexity and interest use 30% Multi Blend, 30% pure buckwheat (or sorghum), 15% finely ground oats, and 15% finely ground almonds or dry milk powder. Or play around with your flour combination to suit your preferences. 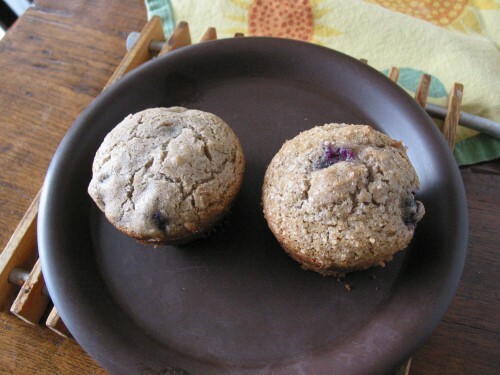 The cranberry muffins improved as they sat on the counter throughout the day but I decided to switch over to blueberries. I began with wild blueberries which are quite a bit smaller and then settled on regular blueberries because they have a better burst of fruit flavor. When developing this recipe I measured the ingredients using cups and spoons according to the recipe and weighed each measurement on a scale to convert it to grams so that more people across the planet could use the recipe. This is not rocket science but the issue of measuring is filled with questions. Here is how I do it and it always works well: pour flour into the measuring cup until it looks about right– don’t level it off with a knife and don’t pack it into the cup. The flour is resting lightly in the cup and added to the bowl. If using a scale there is no harm to the recipe to be off by a few grams or even 10 grams (that’s about two teaspoons). The Multi Blend mix contains a variety of flours with various densities so it is a good replacement for wheat flour cup for cup. It provides consistent successful results with a smooth texture and a very wheat-like taste. Muffins are fairly forgiving with regards to the amount of liquid used—less liquid gives you a muffin with density while increasing the liquid results in a higher rise, lighter texture, and crumb. The flour you use also changes things and how you store it (whether you keep your flour open to the air while baking or keep it sealed tightly at all times). All flour absorbs moisture from the air when it is uncovered (even though it looks quite dry if you have exposed it to the air it can be full of moisture which will affect your baked goods). Keep this in mind and hold back some of the liquid in your recipe if your flour is often uncovered. This is one reason why commercial kitchens weigh their flours—their huge bins of flour are often left open to the air for long periods of time. They are also baking in large volume and weighing is optimum for that kind of production. Other good information to know: the Multi Blend mix, sorghum, and millet flours don’t absorb as much liquid as buckwheat, amaranth, ground oats, ground almonds, or teff. If you add any of the last four flours into your recipe your muffin will be hearty and it won’t rise as high which will disappoint some people. My recipe is closer to a 2:1:1:1 ratio to achieve a more cake-like muffin. With all the baking going on you’d think I’d have more pictures! 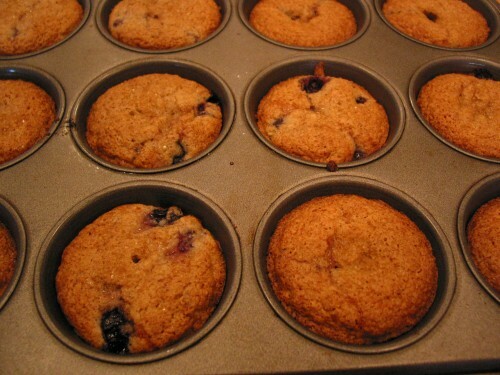 Blueberry Muffins…the last batch. Combine all dry ingredients in a medium mixing bowl. Add blueberries to dry ingredients and coat each one with the flour mixture. Combine all wet ingredients, whisking the egg into the oil and milk, pour over the dry ingredients and mix until combined. Spoon into muffin tin, about 1/3 full into each compartment. Lightly sprinkle the top of each muffin with a bit of turbinado sugar. Bake at 350 degrees F. for 20-25 minutes. Let muffins cool in pan for 5 minutes and remove to a cooling rack.